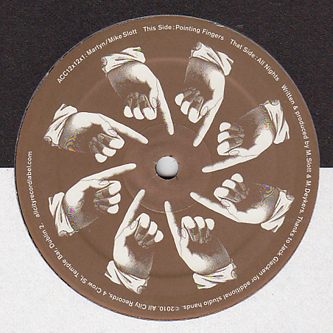 Martyn and Mike Slott collude on the first 12" of a collaborative series from All City. We'd guess there's a few of you breaking out in sweats already looking at the lineup, and the music should justify your giddiness. 'All Nights' is a seriously good-looking swagger-House riddim, all buff dub chords, rumping subs and a deadly percussive palette of slinking bells, slicing snares and densely padded kicks. 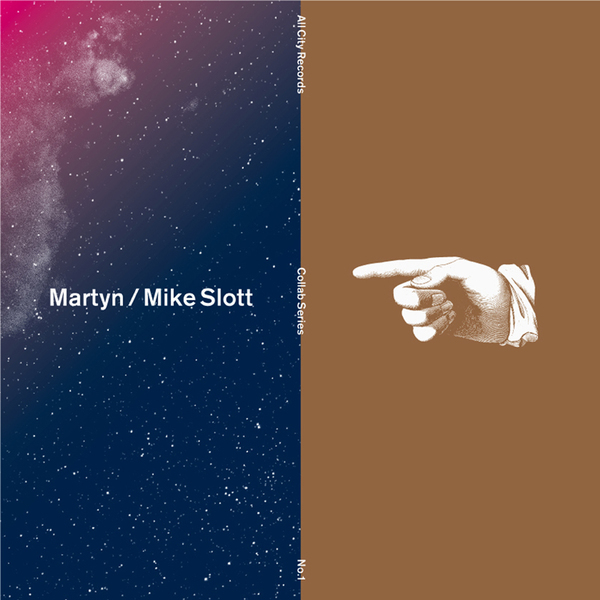 If the Martyn influence is clear in that one, then 'Pointing Fingers' belies a fair input from Mike Slott, set to a grooving mid-tempo swing with cosmic harp and synth interplay on a Flying Lotus tip. Heavy.